Welcome to the website of Roy Roberts Medium – A clairvoyant medium’s total passion. 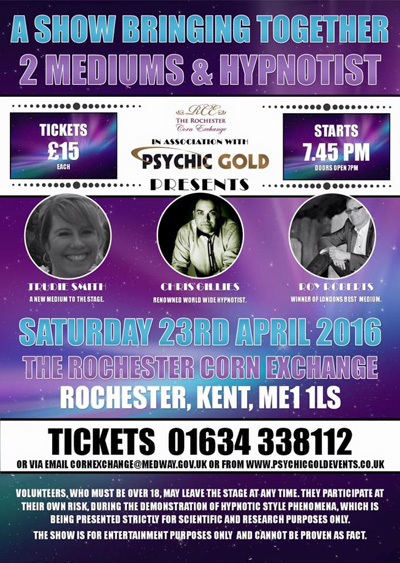 Roy Roberts is a clairvoyant medium and psychic and is one of the UK’s best known mediums and also winner of London’s Top Medium 2009. Available for private and group readings, ghost hunts, special appearances, stage events and training courses. 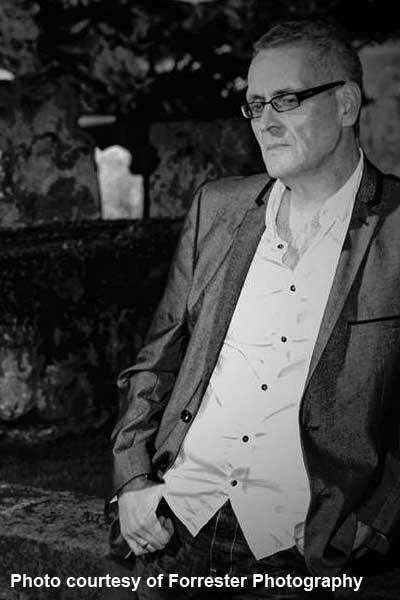 If you would like to make a booking or have any enquiries please contact Roy@royrobertsmedium.co.uk or alternatively complete the contact form. 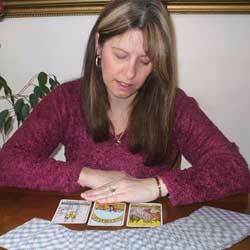 True Readings – Maidstone Psychic Clairvoyant Anita Shean. I have had a private reading from Roy and also attended some of his stage shows. 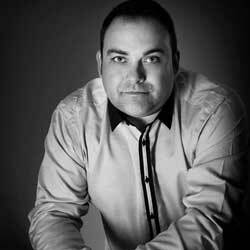 Roy is a fabulous medium with a wicked sense of humour and an incredible accuracy in mediumship. At my private reading Roy told me some things about myself and those around me with with such detailed accuracy that within minutes I was pretty sure he is the real deal! He knew some things about myself and others that, in all honesty, I hadn't even told another single soul! So for Roy to pick up on these things was a great surprise! Roy offered guidance and comfort regarding family members that are no longer with us and also offered advice regarding future events. At the time, some of the information Roy gave me did not make much sense in relation to present events but it soon became apparent in near future events what Roy was referring to! 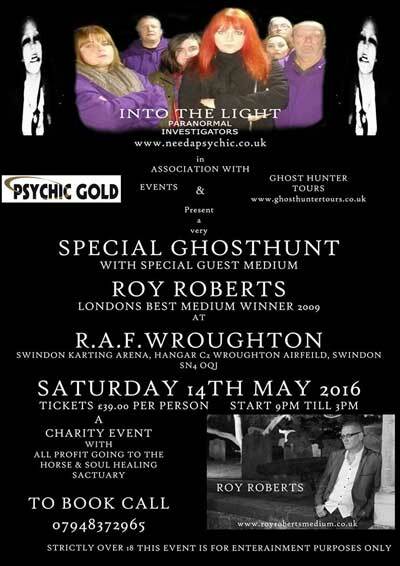 A lot of events Roy mentioned to me in my future have indeed proved to be bang on, he is spookily accurate!! 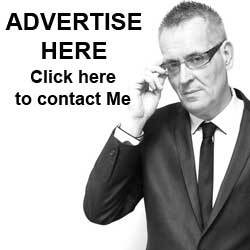 Roy is a friendly and easygoing medium, and he delivers his readings in such a humourous and entertaining fashion that you really feel at ease from the very beginning. Roy's delivery makes receiving news fun and enjoyable, not sad and upsetting. I hope to have a reading from him again soon! 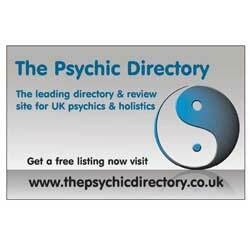 Roy has a real gift, he is an amazing medium and gives intuitive readings. 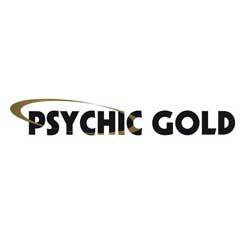 I have had 2 readings with Roy, both times the detail included in the reading were extremely accurate and I found the experience something I would recommend to anyone. I've had 2 readings now and both have been an amazing experience. Roy is the third person I've seen in 12 years and by far the best. The information he gave left me in absolutely no doubt that he was 101% genuine and the reading although painful to hear at times allowed me to understand past situations and help with the current ones. Will definitely be booking another in the future.